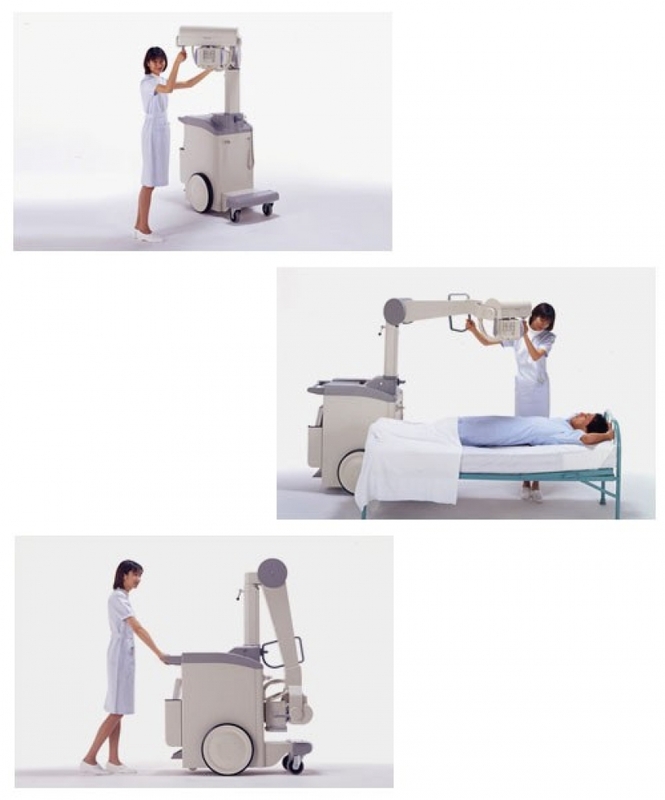 Mobile X-ray systems are regularly used in hospitals to perform radiography for patients who cannot easily be transferred to an X-ray room. 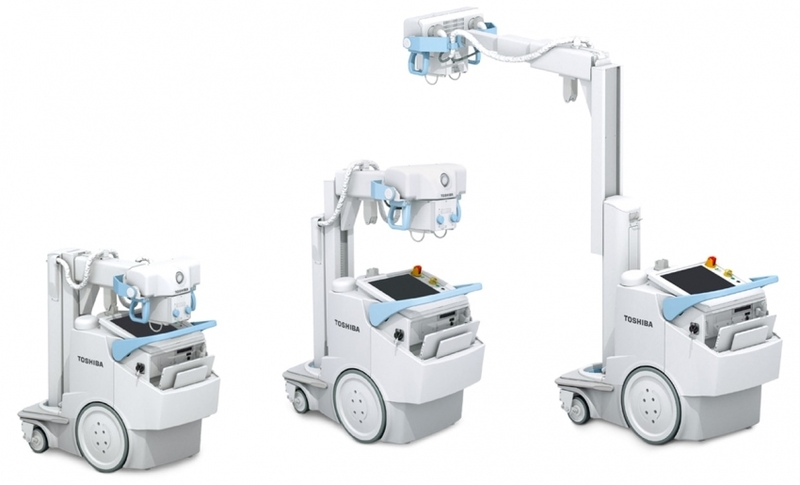 Canon Medical Systems is proud to introduce a new-generation mobile X-ray system equipped with a wireless portable flat panel detector (FPD). of FPD is supported to meet the clinical need. for examinations and performing X-ray exposure more convenient. 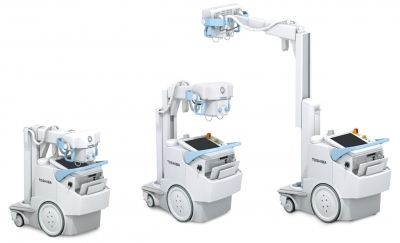 Mobirex’ touch screen allows automatic parameter setting control (APR) as well as operator-programmable settings, which is particularly suitable for clinical environments that demand a unique set of views and procedures. The clear and intuitive touch screen supports the entire workflow from registration through final processing. 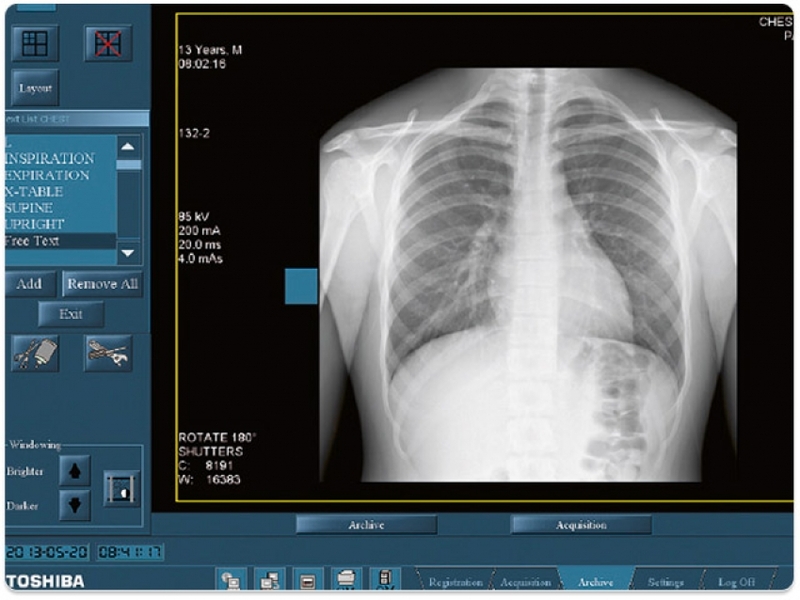 Mobirex has been designed with an intuitive, graphical user interface that easily and quickly guides you through the complete imaging process and allows for integrated X-Ray generator control setting. With Mobirex, the full range of X-Ray examinations is managed by the single graphical user interface, keeping software training requirements uniquely low.